Emmy award winning actress Robin Wright will present her vision for “change, transparency and lasting impact in the Democratic Republic of Congo” at a Red Carpet Gala in Bermuda on February 16. The event, which will include a charity auction, will be held at Marcus’ beginning at 6.00pm, with sponsors including Bermuda’s Wishing Step Pictures, The Hamilton Princess & Beach Club, Marcus’ Restaurant, The Hamilton Rotary, Butterfield & Vallis Distributors, Goslings, and Burrows Lightbourn. Ms. Wright will be on hand to discuss her hope for Congo, and present how the Stand With Congo campaign can make a lasting impact in the country, with campaign director JD Stier also on hand. “However, a real life role she considers the most important is as an advocate for the people of the Democratic Republic of Congo [Congo]. “Congo is one of the most mineral rich nations in the world, boasting Africa’s largest copper belt and tremendous amounts of tungsten, tin, tantalum and gold – all the minerals necessary to make todays electronic devices. “Unfortunately, instead of providing the people of Congo with revenue for infrastructure and education – these minerals have fueled conflicts that have claimed the lives of over 5.4 million Congolese since 1996, while simultaneously generating billions [US$] in profits for corrupt officials, armed groups, and multi-national corporations. |Ms. Wright will be hosting Bermuda’s finest at a Red Carpet Gala charity auction to discuss her latest efforts in Congo – the activist campaign Stand With Congo designed to mobilize consumer and students activists to pressure policy makers, stakeholders, and investors for greater transparency and accountability for Congo’s mining sector. For more information, visit the website; to purchase tickets, email RedCarpet@StandWithCongo.org. Awesome! I love Robin Wright! Such a great cause too – I had no idea about what was going on in Congo. Eeek. 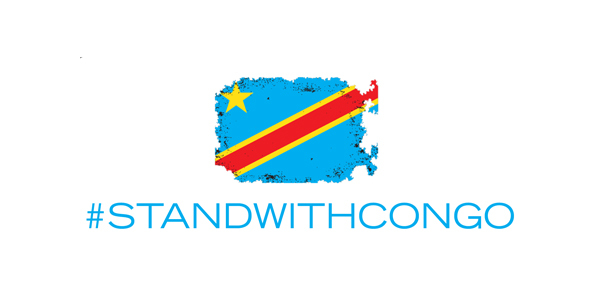 Stand with Congo! I spent a few days in DRC during the summer of 2014 and trust me these people need all the help they can get…. The cruption must be dealt with too!